When meditating upon The Resurrection, it may be useful to look at a picture of this awesome event or listen to some uplifting music. Be mindful that the fruit of this mystery is faith and recall this scene at Jesus tomb as you make your meditations on the Rosary, particularly on the first of the Glorious Mysteries of the Rosary which is the rising of Jesus Easter Sunday. After the crucifixion, the next event in the life of Jesus is the Resurrection. This is the greatest of the miracles of Jesus. Jesus was laid in a borrowed tomb. The tomb belonged to Joseph of Arimethea. The body of Jesus was hastily placed there without the usual burial ceremony because the Sabbath was drawing near. His body was wrapped in Linen and anointed with some spices. Then a large rock was rolled in front of the tomb. The enemies of Jesus and the High Priests went to Pilate. Knowing that Jesus promised to rise from the dead on the third day, they asked that guards be placed at the tomb in case the followers of Jesus came and stole His body in order to fool people into believing that He did in fact rise from the dead. Pilate did as they asked. And so a guard was sent and secured the tomb. After the Sabbath the Holy Women went to the tomb so they could finish anointing Jesus' body. But, Jesus had already rose. There was an earthquake and an angel came down from heaven, rolled back the stone, and sat upon it. The guards were so frightened they ran away in fear. Mary Magdalen was the first person to the tomb. She cried out in sorrow when she saw that Jesus' body was missing for she thought it had been stolen. Peter and John ran to the tomb to see for themselves. John, being much younger, outran Peter and arrived first. When Peter arrived he entered the tomb. There he saw that the linens that Jesus' was wrapped in were on the floor but that the cloth that covered Jesus' face was folded neatly and placed somewhere separate from the other linens. At that moment they both believed that Jesus had risen as He said He would. Meanwhile, Mary Magdalen remained outside the tomb, crying. Two angels appeared to her and asked her why she was sad. She turned around and saw Jesus standing there yet she did not recognize Him. She went back to the other disciples and proclaimed, "I have seen the Lord." But they did not believe her. The other woman later arrived at the tomb. Upon entering they saw an angel sitting inside. He told them Jesus had risen. Delighted, they ran back to tell the others. On the way they met a man clothed in white. If you would like to read the full scriptural account of The Resurrection it can be found in Matthew 27:60-28:9, Mark 16:2-11, Luke 23:54-56, and John 19:40-20:18.
that he might be Lord both of the dead and of the living." Below you will find some more reflection on the Resurrection mystery of the rosary. One of the corporal works of mercy is to bury the dead. Jesus died a disgraceful death but nevertheless He was buried in a very honorable way. Societies should always see to it that their dead are treated in a respectful way and properly buried and cared for. Just as He foretold, Jesus rose on the third day. He conquered death and took away it's power over humans through his resurrection. You do not need to fear death. Jesus has destroyed the devils power over you and if you follow God's commandments, you will go to Heaven and experience eternal life because your soul never dies. Jesus suffered, died, and rose again. The angels who were keeping watch at the tomb of Jesus are demonstrating something here. Those who go and adore Jesus in the tabernacle where He dwells on earth are following their example. You too should go from time to time and adore Jesus in this way. A sin against the Holy Spirit is denying the truth when you know it and still resist it. This sin was committed by the leaders at the time of Jesus. Many of them refused to believe in Jesus' resurrection from the dead. This same sin is committed in our time. One example of this is abortion. It is clear that life begins at conception. Yet, many continue to deny this truth with word games and by redefining what "life" and "rights" mean. This is but one example in our modern so called moral code where our leaders deny the truth that is staring them in the face in the natural order of things and not to mention God's Own commands. Do not fall for their lying and deceit. Just as the early Christians' did, keep your eye on Jesus and conform your life to His example and that of His Blessed Mother, Mary. Do not harden your heart against the truth. Always seek the truth no matter what the cost in your personal life. When you seek the truth you will be on the road to peace. Mary Magdalen is an example of attentiveness to duty. She went to the tomb first thing in the morning before the sun even rose. Try not become slothful and lazy in your spiritual life. This is the quickest way for the peace and security you have found to diminish. 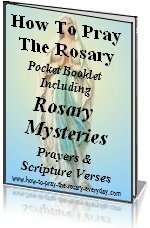 Say your prayers, especially your daily Rosary accompanied by a scriptural Rosary. Be faithful to these devotions and the peace you find will increase day by day. If you abandon any of these practices, the peace you have received will vanish. The dogma of the resurrection allows Jesus' followers to have a firm faith in all His teachings. When St. John saw the burial linens on the floor he remembered Jesus' words and believed. You too can have a solid faith as St. John did. The more you seek the truth the firmer your faith will become. Mary Magdalen was weeping outside the tomb. She felt sorrow because she thought she had lost Jesus. She was not weeping over worldly losses. Consider the love and devotion of the Holy Women as they went to the tomb that first Easter Sunday morning. You should imitate their loving attitude when you go to church on Sundays, since every Sunday is like a little Easter, celebrating the resurrection. Don't think of it as a duty to get over with but rather as an opportunity to spend time with God and to receive Jesus in Communion. There are some parallels in the Mass and the account of the Holy Women. You should go to Mass with a generous heart and when you leave you should spread the Good News of Jesus' resurrection and life to all you meet. That is the command Jesus gave the Holy Women as they left the tomb, "Go, tell my brethren". -Matthew 28:10. The church also tells you and me to go out spread and defend the faith. "To those who propagate my Rosary I promise aid in all their necessities." Spreading devotion to the Rosary kills two birds with one stone. 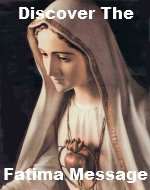 It fulfills the command of Jesus to spread the faith and it has attached to it this promise from Mary. You must rise with Jesus to a newness and beauty of life by following His commandments. This is the only path to true peace. Dear Jesus, Thou gloriously rose from the dead and conquered death and gave life to us all. I thank Thee for suffering then rising for love of me. I am truly sorry for all the times I have offended Thee. Especially for the opportunities I missed when I could have spread Thy holy Faith. Opportunities that were missed out of fear and embarrassment. I am even more sorry for the times when my bad example did not reflect my faith in Thee. Lord, send me Thy graces so that my faith and fervor to follow Thee will increase everyday so I will not miss any more opportunities to make others love Thee more.